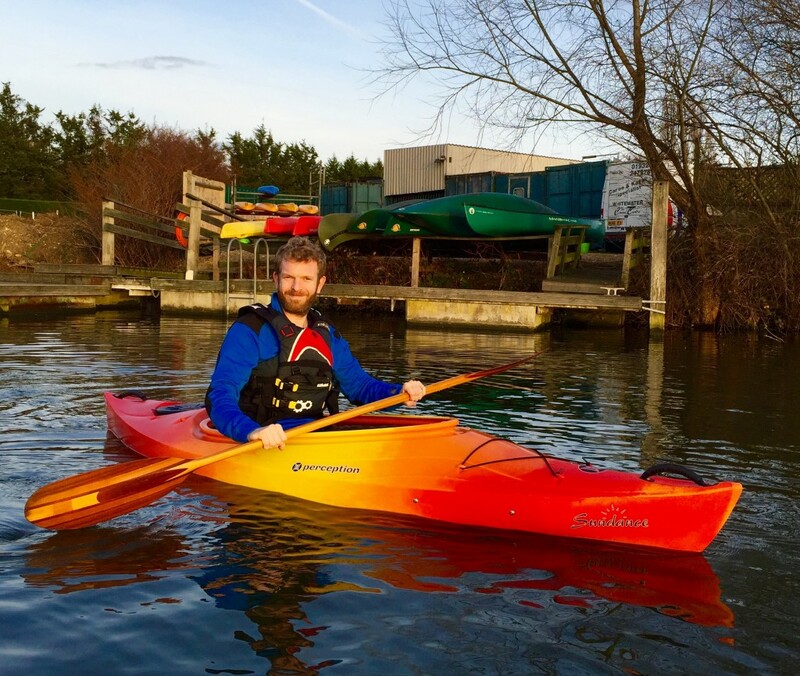 So you live close by the Thames (or any river / lake) and you want to get out on the water and have a bit of an explore or get out for some exercise? Why not, Kayaking is pretty easy to learn? Right? and the connection you get between the water and wildlife is unlike any other sport out there. 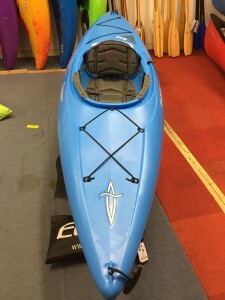 But you’ve never paddled before or even sat in a kayak before, well don’t panic and read on below, we’ve got 3 kayaks that are easy to transport , easy to get in out out off , aren’t too heavy and most importantly are easy to learn to paddle in. – The first kayak we want to tell you about is the Islander Fiesta. 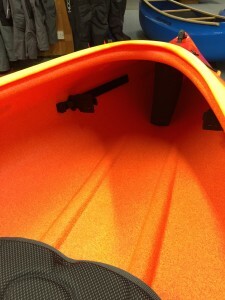 Islander is an off shot of Dagger kayaks and is their entry level range of kayaks. Made in the UK they are very good quality and very reasonably priced (£299.95 Jan 2016). 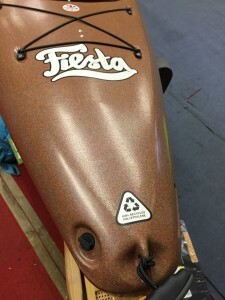 The Fiesta is also made 100% from recycled plastic. During production any kayaks that don’t meet Dagger / Islanders high standards get scraped, rather than sending these kayaks to land fill Dagger / Islander grind all the plastic and turn it back into powder, they then use to make the Fiesta! Hence why they come out in an odd colour (some might say). Outfitting. The Fiesta is made with the entry level paddler in mind, but it nice to see the outfitting is still of a great standard. The Fiesta has a nice padded seat and really supportive back rest, this kayak also benefits from a great set of slide lock footrests that are easy to adjust. Handling. The Fiesta is a great first kayak. 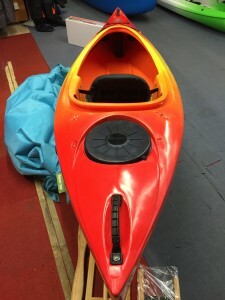 It has a roomy cockpit that makes getting into and out of the kayak super easy, the nice flat hull means that it sits very flat in the water with exceptional stability. There is also a nice molded in skeg at the rear. What this does is keep you in a straight line, there is no more annoying feeling than spinning off down the river doing ever increasing 360’s . You will still need to keep a nice even stroke on either side to go in a straight line, but this kayaks does its best to aid you. And if you can’t make one of these go where you want than really paddling might not be for you. Dimensions. 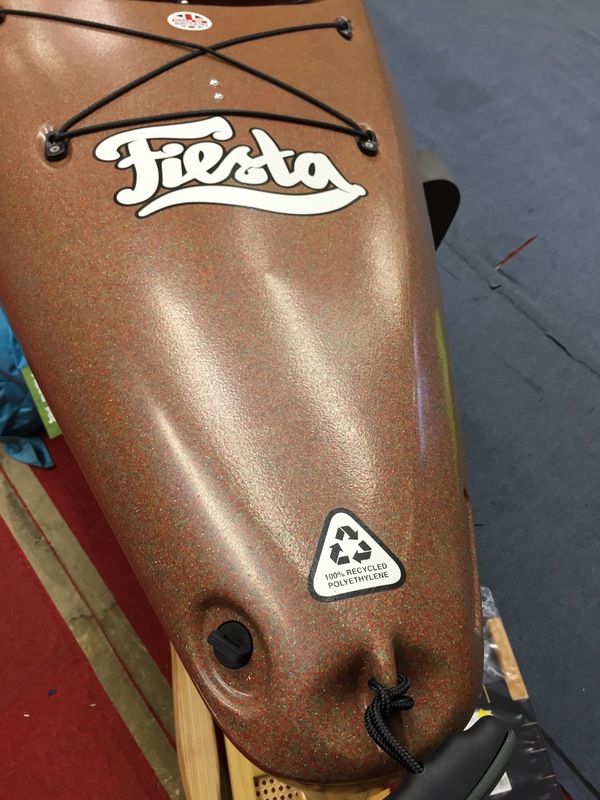 The Fiesta is a great compact touring kayak at just 297cm in length, 70cm wide and weighing in at just 19Kg, meaning it’s easy to store in the back garden but also easy to stick on the roof of the car and carry to the river. Overall. 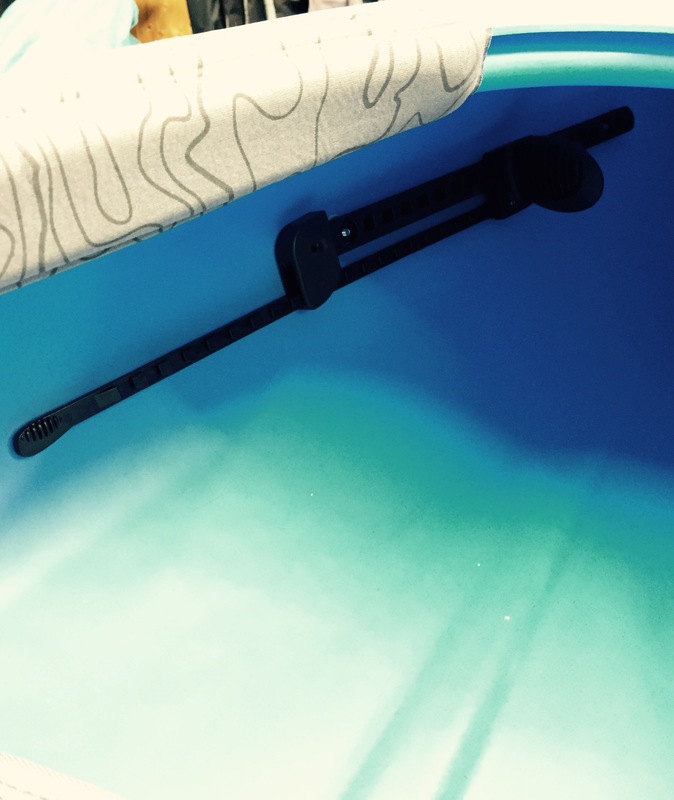 The Fiesta is a great boat that paddles really well and paddles well with a wide range of paddlers weight, it’s compact enough for small children to enjoy and be able to use but it also has enough room and volume for paddlers up to around 18/19 stone to confidently use too. There are flashier newer models out there but for the money it really is a very competent and fun kayak that’s hard to beat. 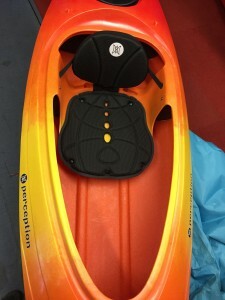 – The second kayak well worth considering is the excellent Perception Sundance. Now this kayak had big shoes to fill, and replaced the legendary Kiwi. Perception took their time designing this one and quite simply smashed it! No they did. So there was no going back, as soon as the Sundance was up and running they took a sledge hammer to the Kiwi mould, and it didn’t end well for the kiwi. Bit like Cortez burning his ships. There was only one way, and the Sundance was it. 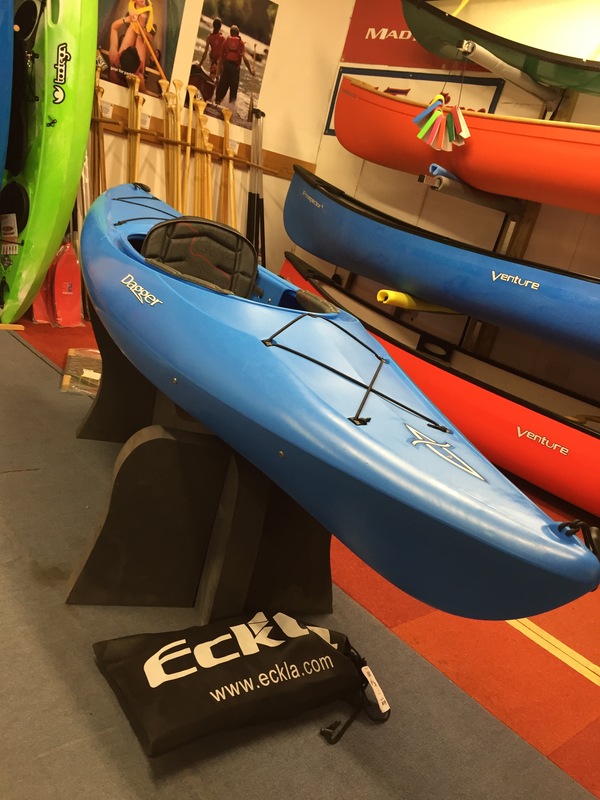 Priced at £399.99 (Jan 2016) it the bench mark boat for this category. Outfitting. Perception have spent their time getting this just right, the Sundance has a nice wide and long seat that gives good support under the legs and also has a nice high back rest that provides really good support to your lower back, simple but solid keeper footrests work well and are easy to adjust forward and back. The Sundance also benefits from a dry hatch in the rear, just behind the seat is a foam bulk head and on the top of the deck you have a rubber hatch that you can peel off to gain access to the back of the boat, perfect for putting sandwiches a change of clothes and other useful items when out and about on the river. It’s also a neat safety feature too. If you do ever capsize and come out of your boat in the river, the rear compartment stays water tight and keeps the Sundance floating high and dry, giving you something to hang onto and catch your breath. Handling. As your find with all the kayaks in this category the Sundance has a nice flat hull that provides real confidence inspiring handling, the cockpit and backrest make it easy to enter and exit and again there is a nice pronounced keel right at the back to help you with your forward tracking, theres also two tracking groves in the hull that aid forward tracking but also gives the Sundances hull real rigidity. The one thing I always think when I paddle a Sundance compared to other 9 foot recreational touring kayaks is how quick it feels, I think this largely comes down to the Swede form design (widest point of the kayak behind the seat), but it always impresses me. Overall. The Perception Sundance really does tick all the boxes, young and old can take this boat fore a paddle and have no issues. Its a great design that does everything that you would ever ask it to do with ease, the outfitting is just right and the price is about spot on too. Outfitting. If you want comfort above all else than this is the kayak for you. Dagger have garnished the Zydeco with full Contour LT seat and leg lifters, height adjustable back rest and knee/thigh pads. What that all means is everything moves and everything is really padded, so you can find your perfect level of comfort, whatever your size / weight. The leg lifters in particular are really nice and allow you to pull up the front edge of the seat, this then holds your legs into the knee pads, taking any strain off your legs. 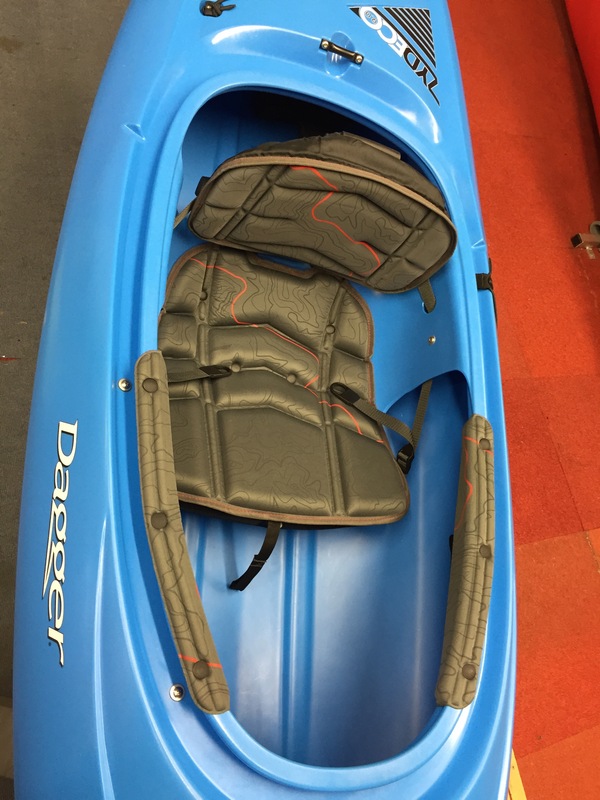 The backrest is also easily adjusted, up and down via a simple pull strap at the front of the seat, out of the 3 kayaks here this one has the highest backrest. And if you do suffer with any back related issues the Zydeco 9.0 is probably the one to pick. 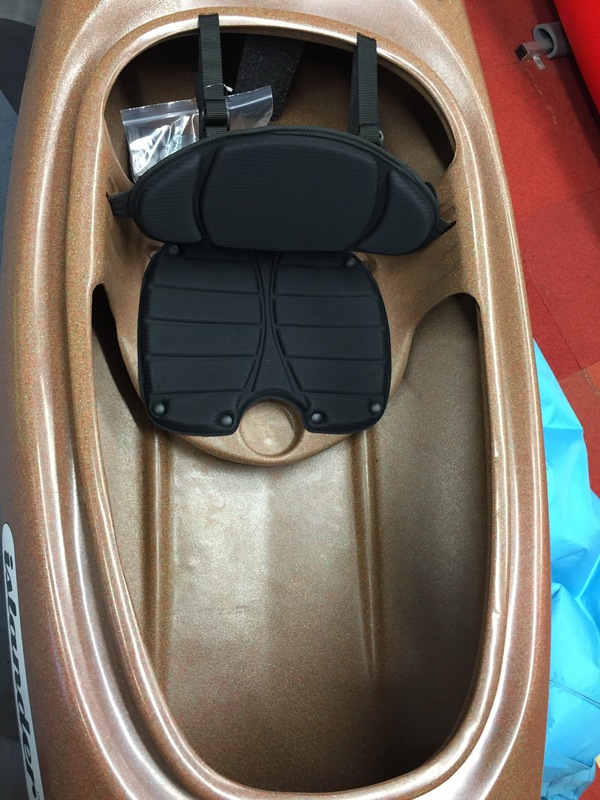 XL Slide-lock footrests and a handy little elasticated paddle park finish off the outfitting in style. Handling. As with the other two kayaks the Zydeco has a nice wide flat hull but the Zydeco does have a bit more of a soft rail. This doesn’t affect the stability but it does help the Zydeco turn a little faster and crisper when on its edge. There is also a nice moulded in skeg that aids forward tracking. 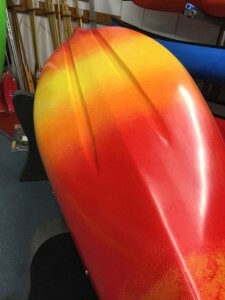 The Zydeco is the shortest out of the 3 kayaks but hides it well in terms of forward speed, you can still easily go out for a Sunday morning cruise no worries, it still glides well, and the big plus side of the shorter length and less defined rail is that this boat turns really well. Perfect for exploring deserted quiet treelined backwaters. Overall. Dagger have done well the Zydeco, the seating system they use is the thing that really sets it apart from the other two kayaks, and it is very comfortable. The only slight downside for this kayak is the price, and the reason why this boat costs the extra money is because where as the Fiesta & Sundance are both produced in the UK the Zydeco is imported from the US. That said personally I think that the Zydeco still represents good value for money, and it is the lightest, which is a big consideration for some. If you want an extremely comfortable and competent, maneuverable all-rounder the Zydeco could be your perfect starter kayaks.